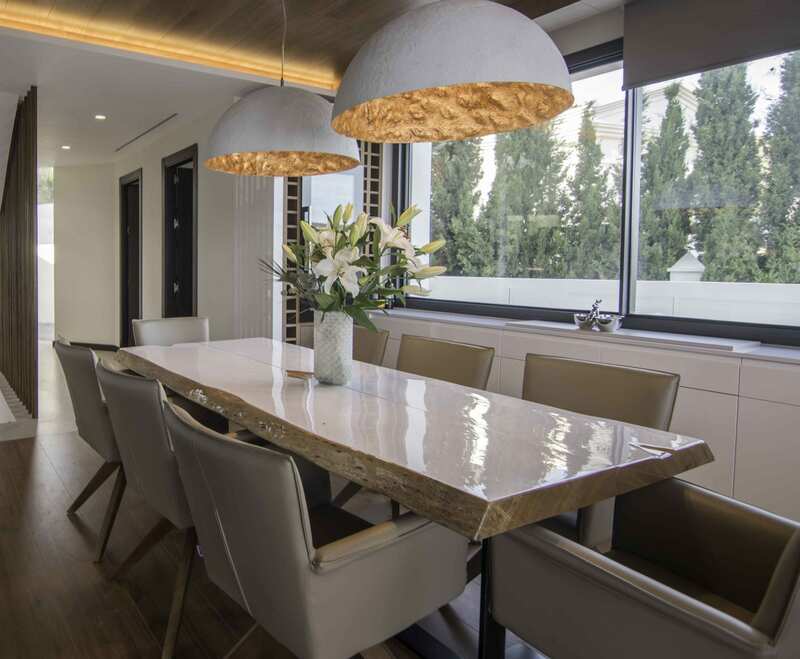 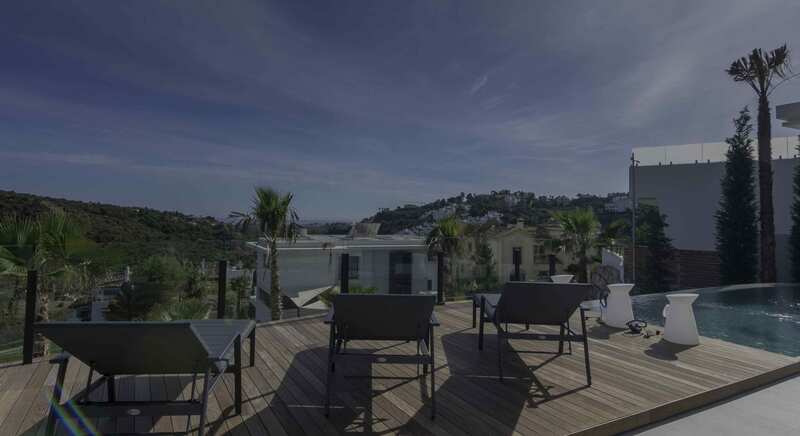 ← Nice duplex penthouse in Urb. 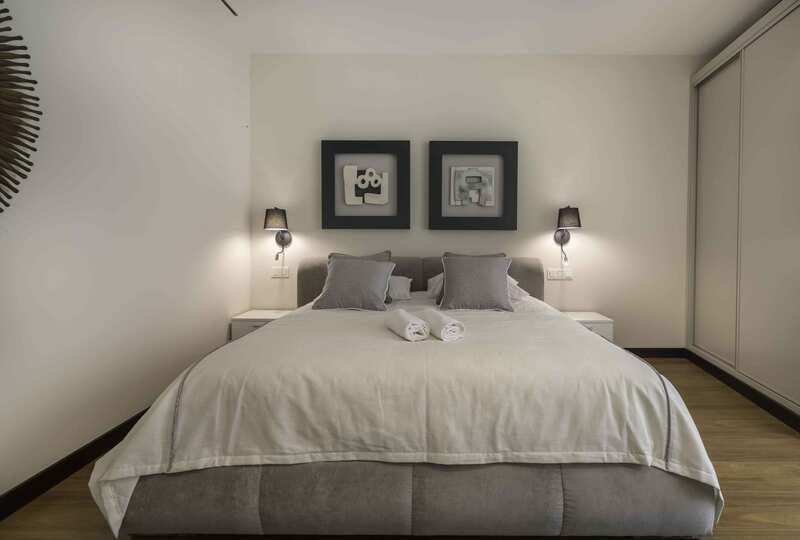 Los Toreros. 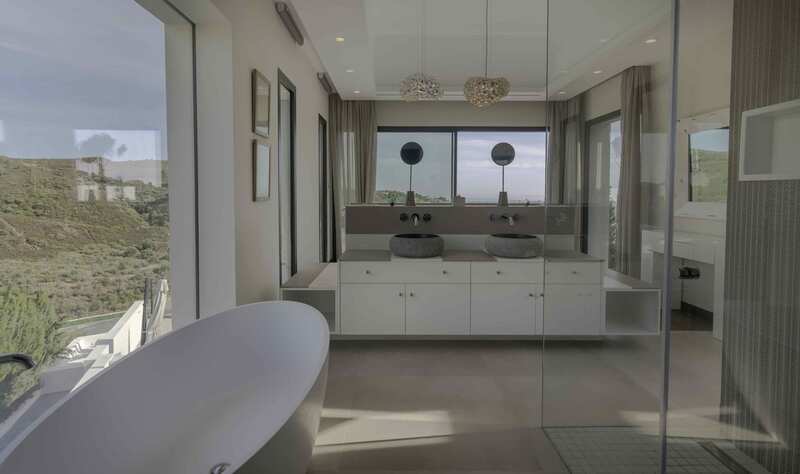 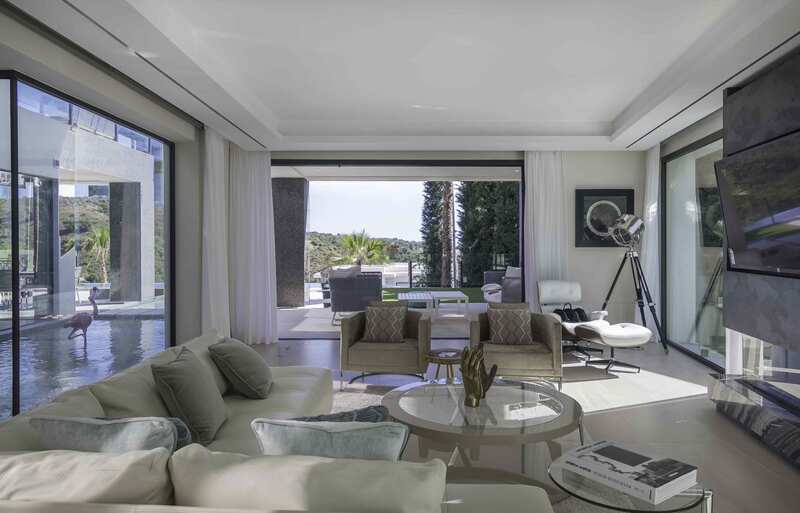 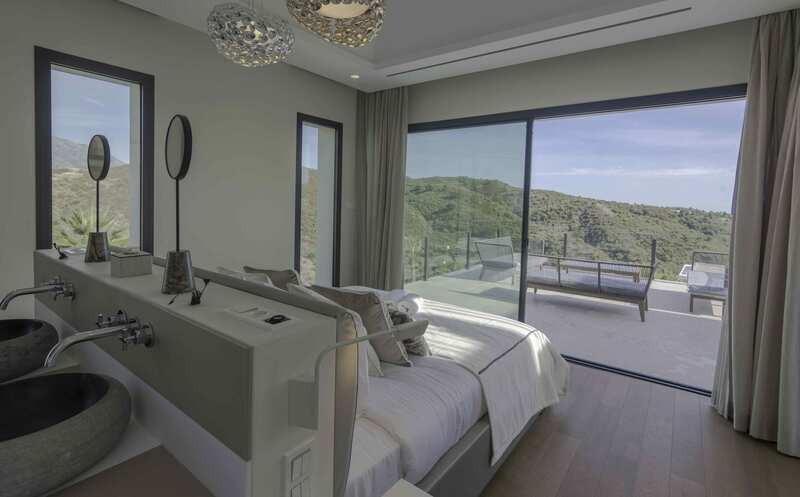 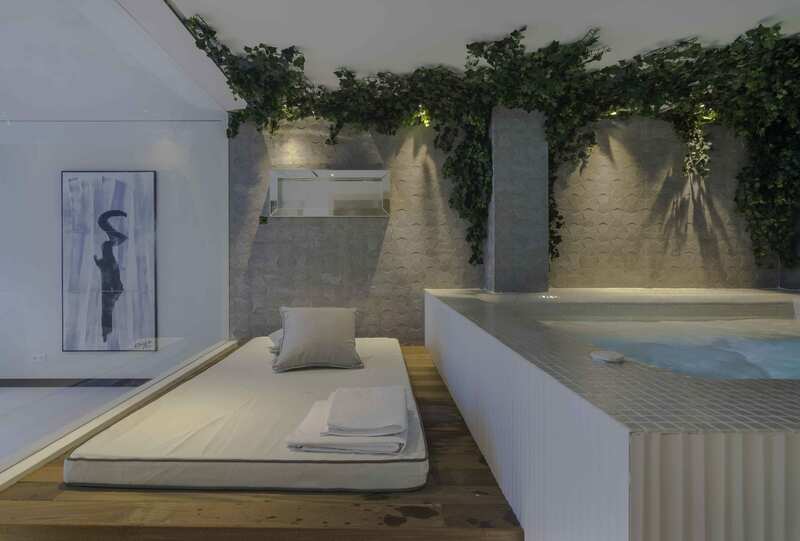 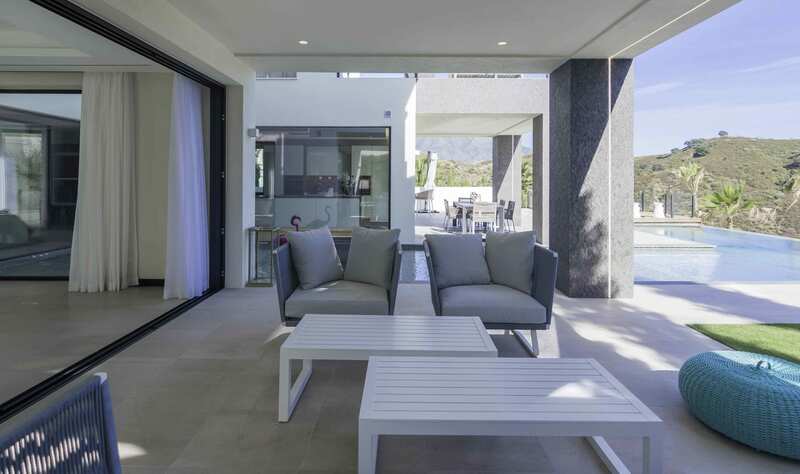 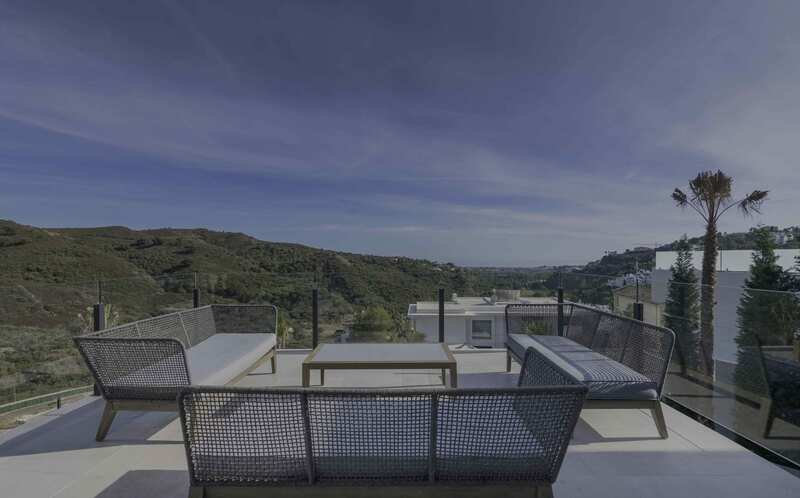 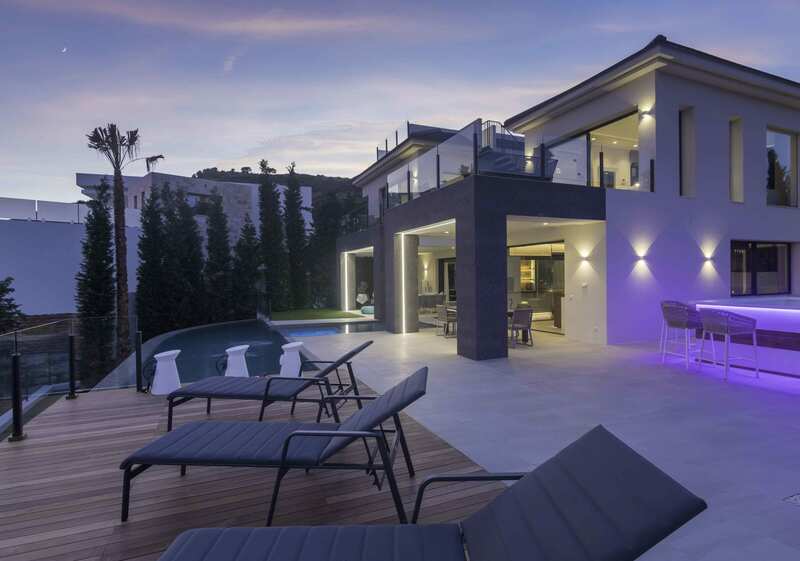 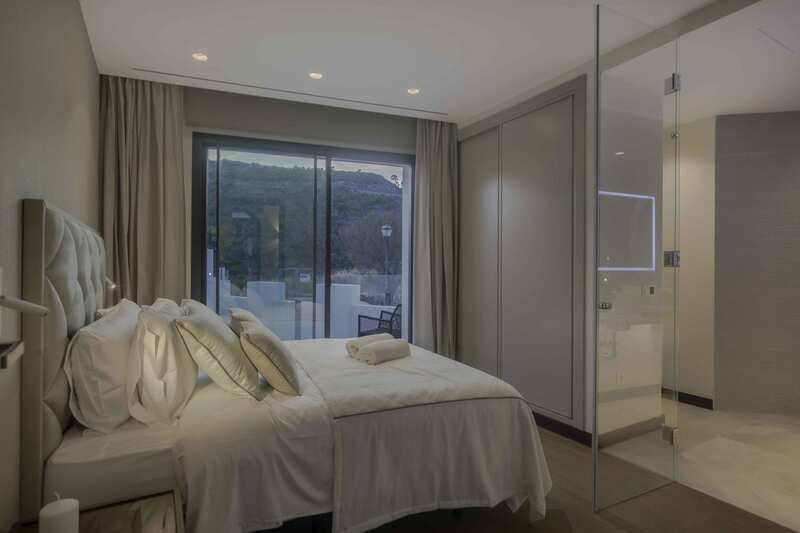 Stunning contemporary villa, located in Las Lomas de La Quinta, in Benahavis. 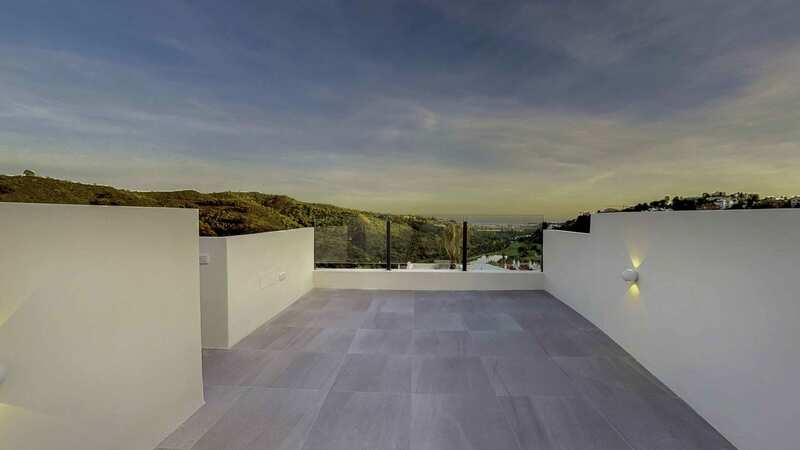 Benahavis is the richest town per capita in Europe with luxury developments such as: La Zagaleta, Los Arqueros, La Alqueria, La Quinta and Benahavis Hills. 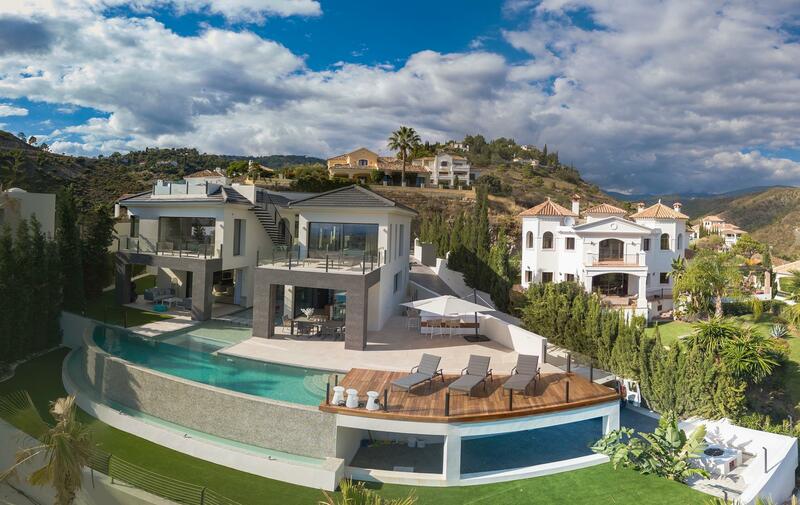 A paradise surrounded by golf courses. 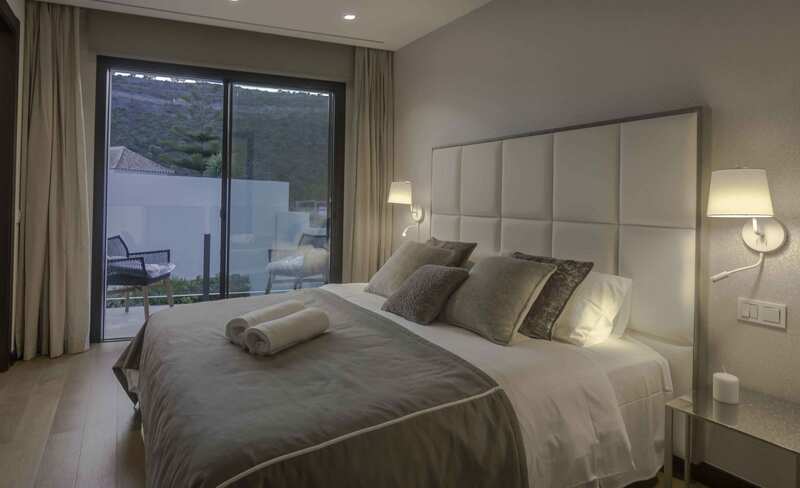 An exclusive place, where many rich and famous from all over the world come to spend their vacations. 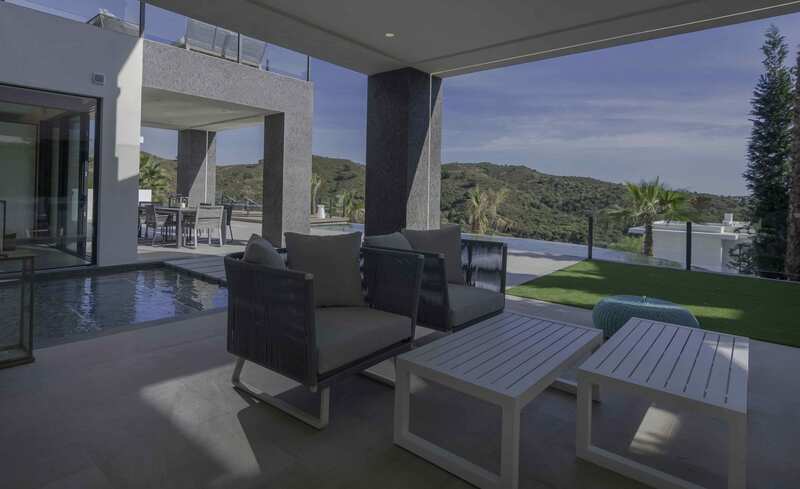 A magnificent property located within a secure and gated community, from a dominant south-facing position, on top of a mountain. 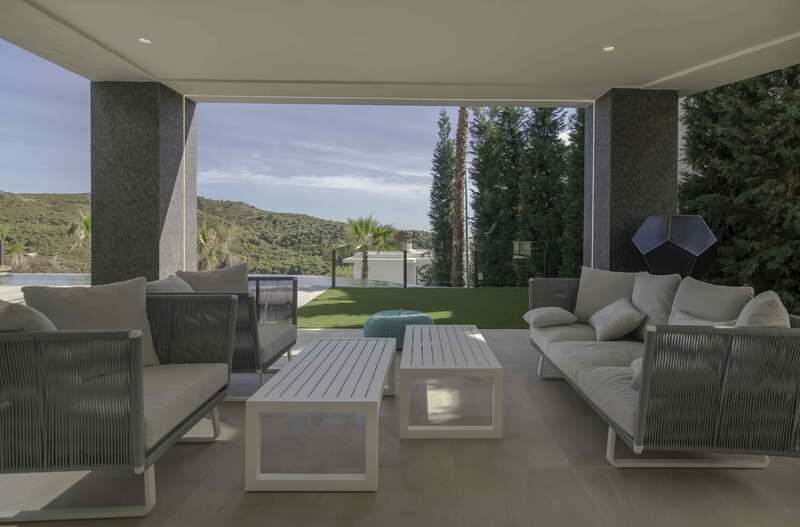 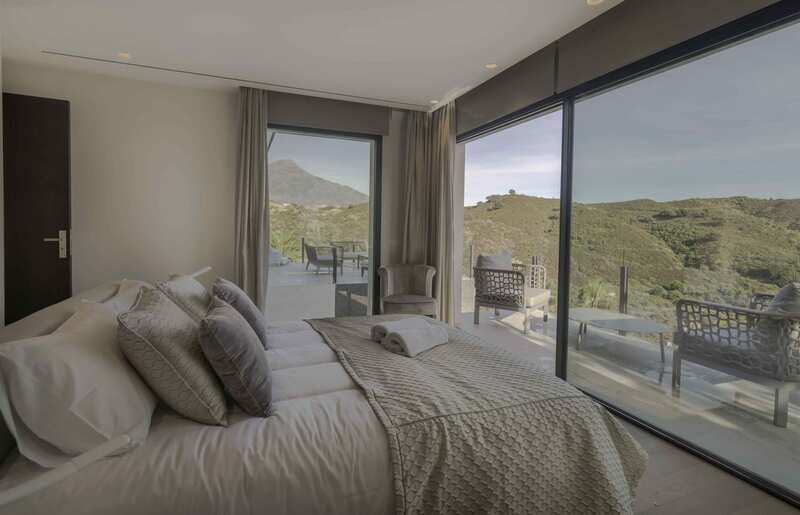 Perfectly located on a gentle slope, it offers extraordinary views of the sea, golf and mountains. 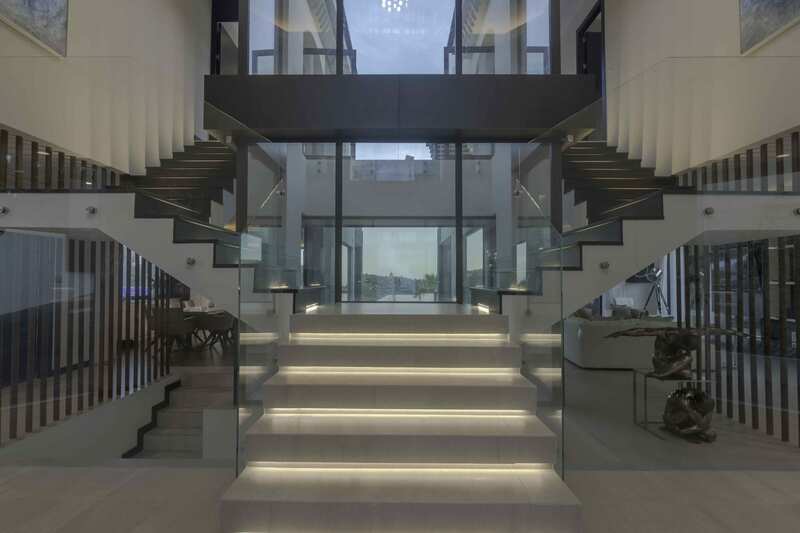 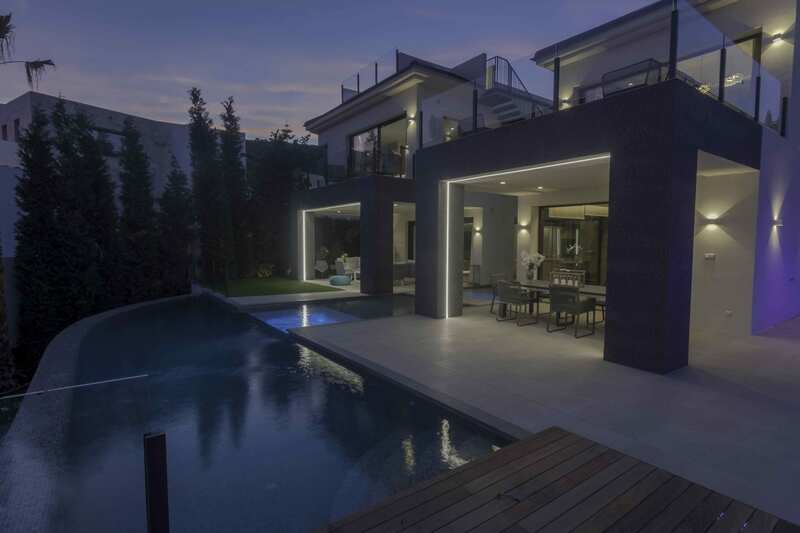 This unique house is designed to adapt to the growing demand that corresponds to the cutting edge of the latest trends in architecture, materials, amenities and design. 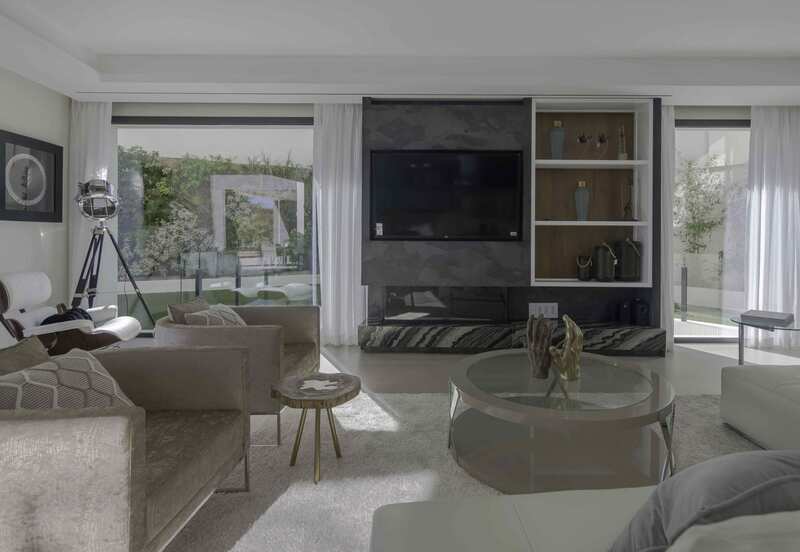 Every detail has been taken into account in the project, making a study on the direction of the sun, to create a soft shadow through the windows, in the middle of summer and to absorb all the sun in the winter months. 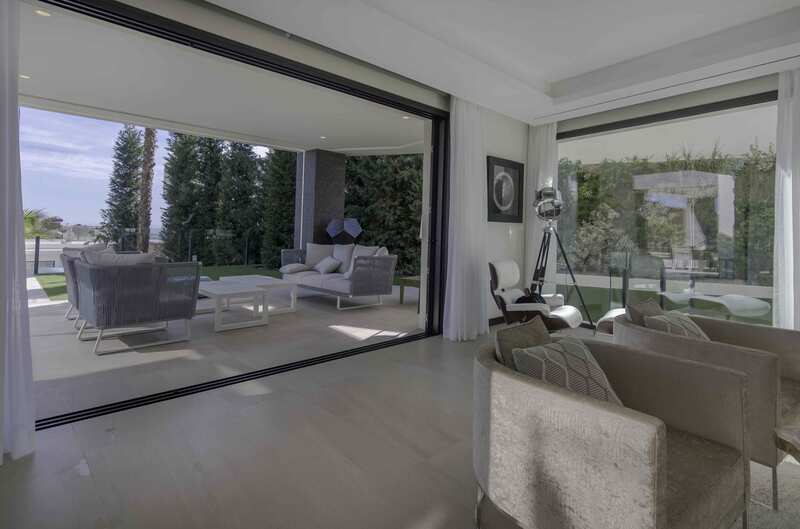 Sliding glass doors leave open spaces, mixing the boundaries between the interior and the exterior. 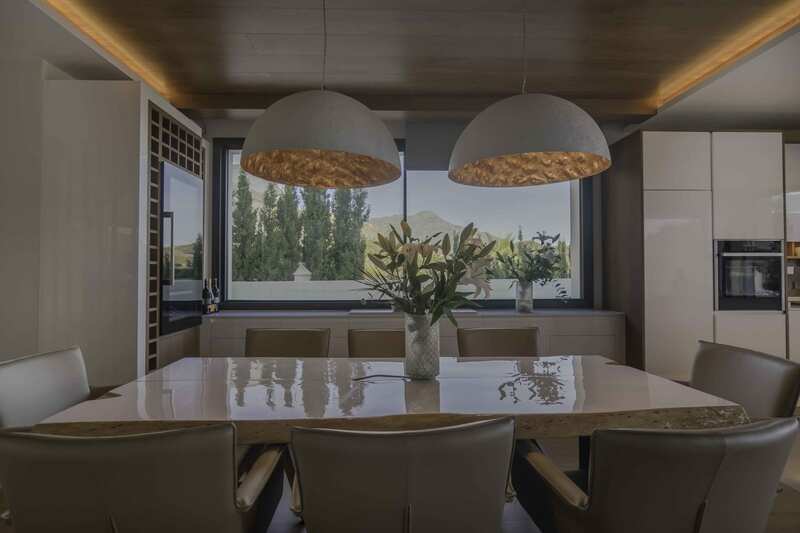 A property with unique characteristics, in a really very creative environment in harmony with its external natural environment when using in its scheme the same elements as in the mountainous environment that surrounds it; the wood, the stone and the fire. 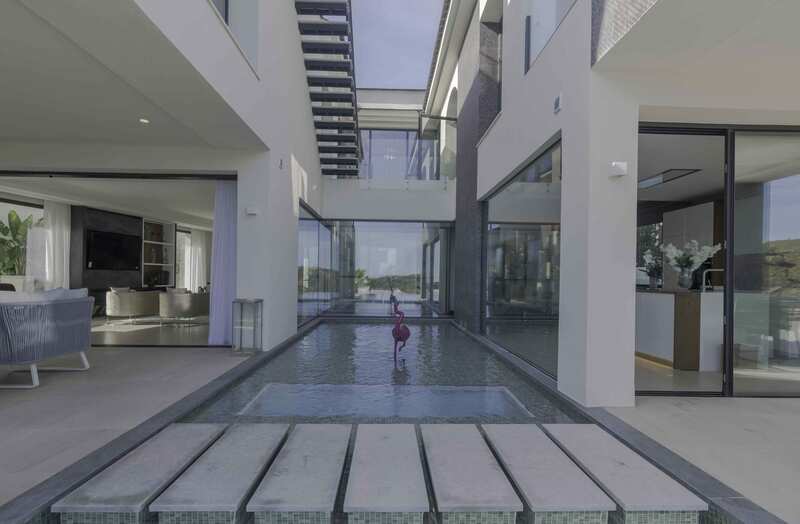 Water is a predominant element that flows around the house. 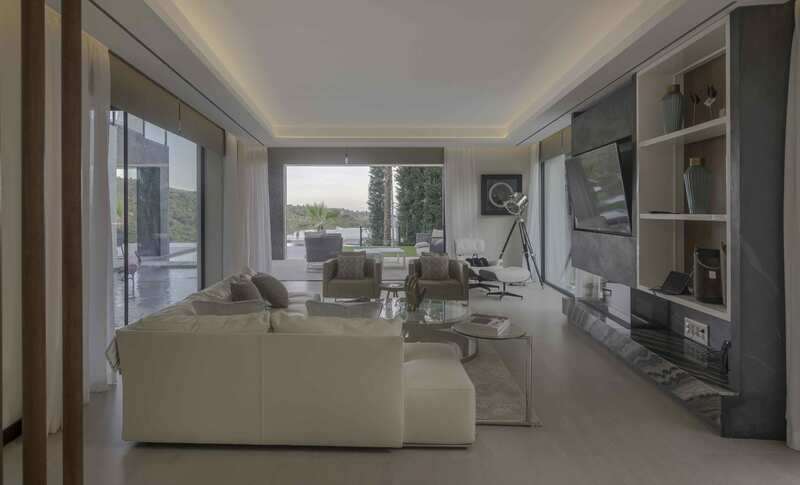 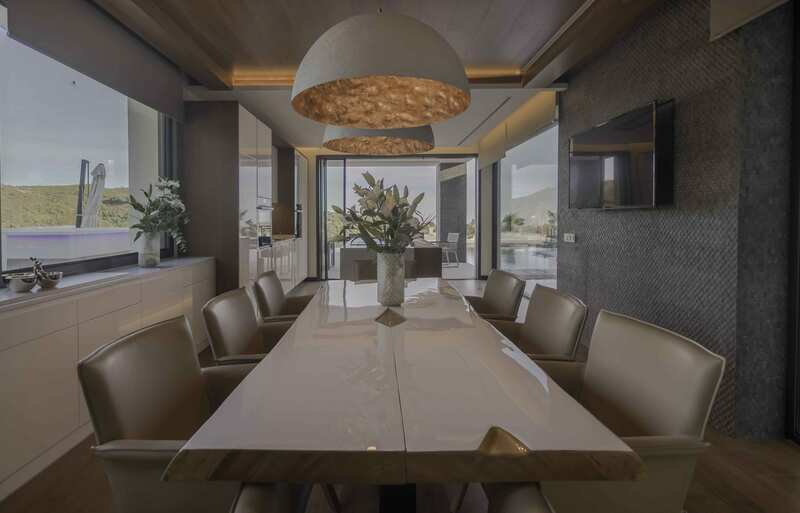 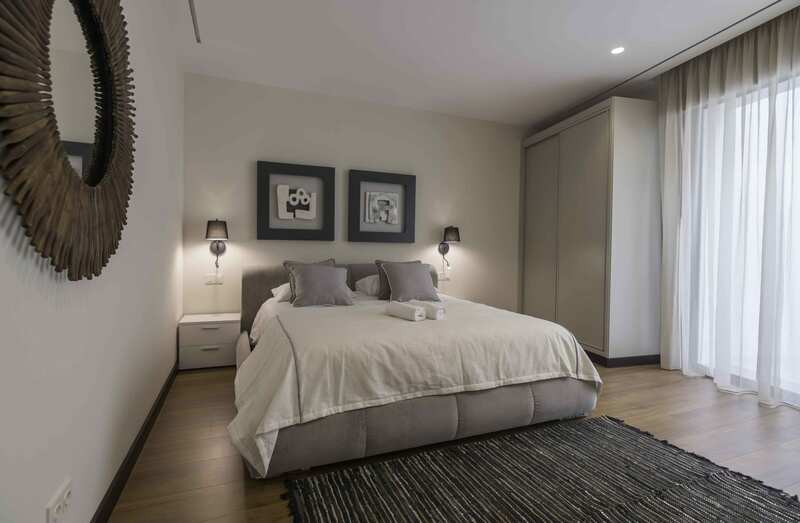 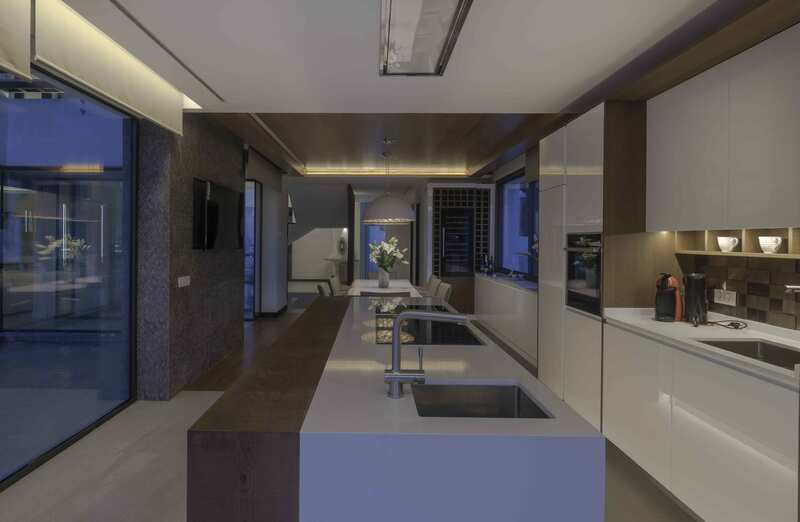 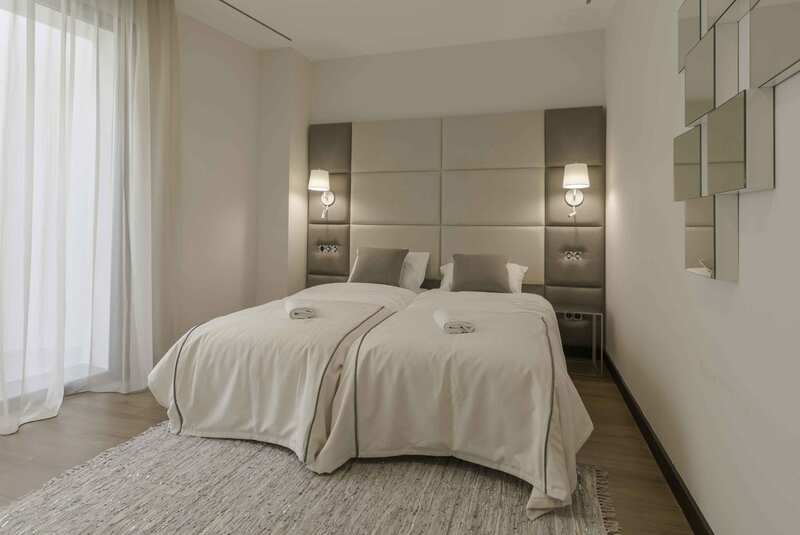 The main floor consists of: entrance hall, living room, dining room, fully equipped kitchen, a bathroom and large covered and uncovered terraces. 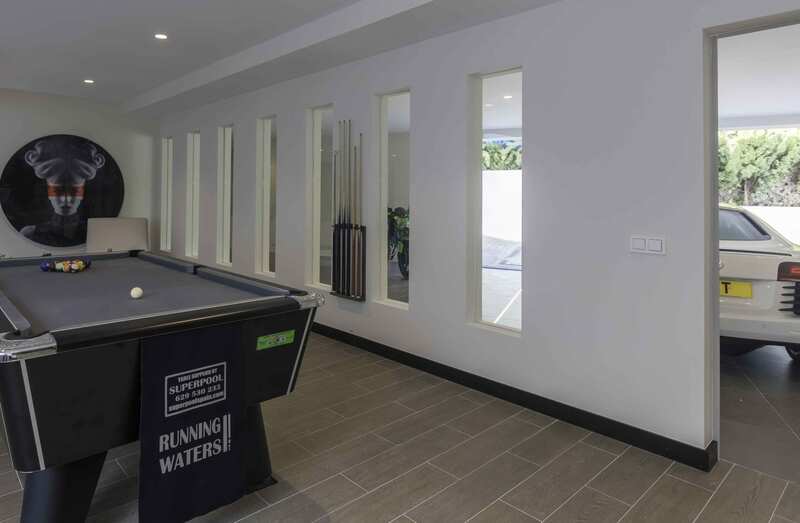 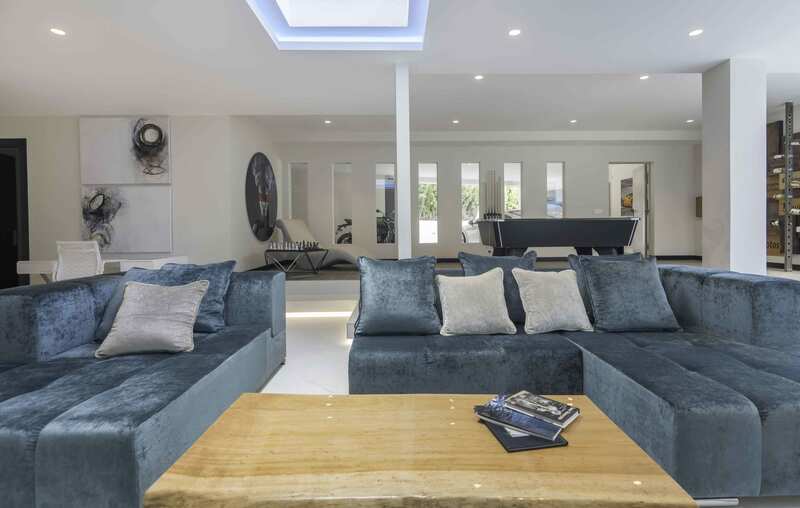 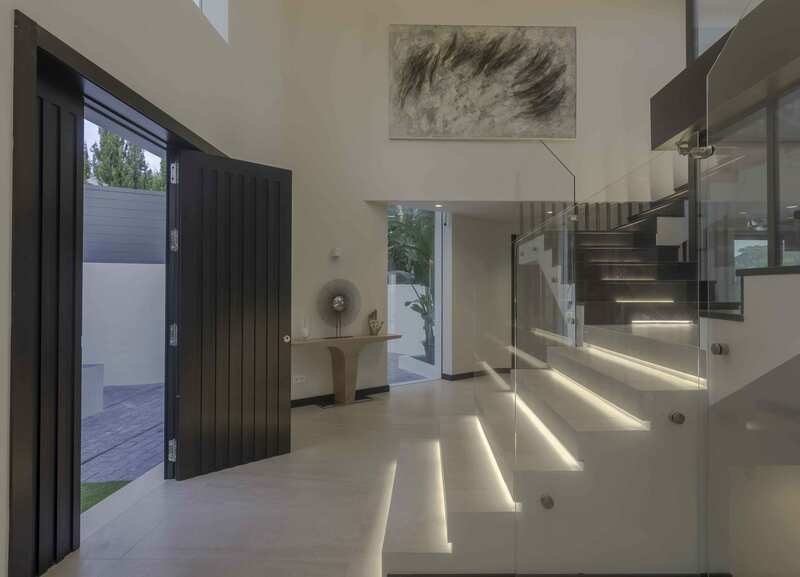 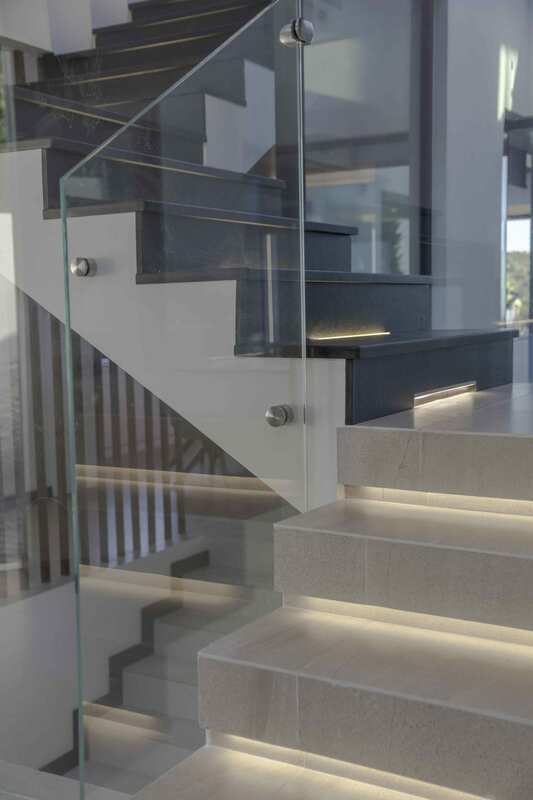 All this level surrounds a swimming pool with decorative function, provided with a transparent glass that captures, reflects and transports daylight to the rooms throughout the house. 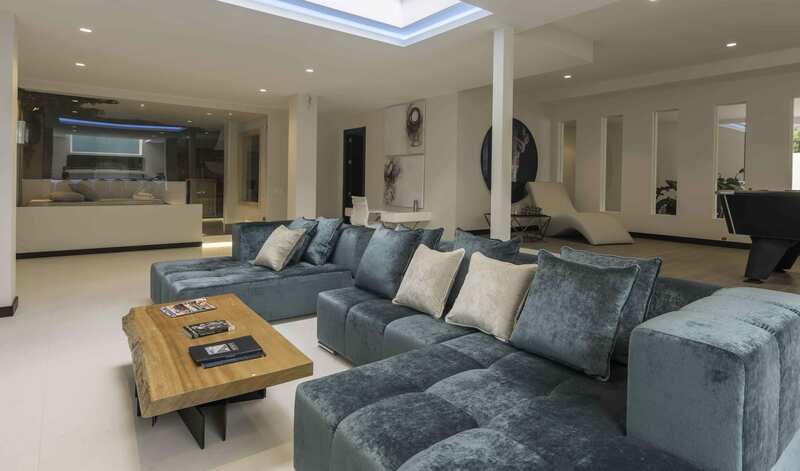 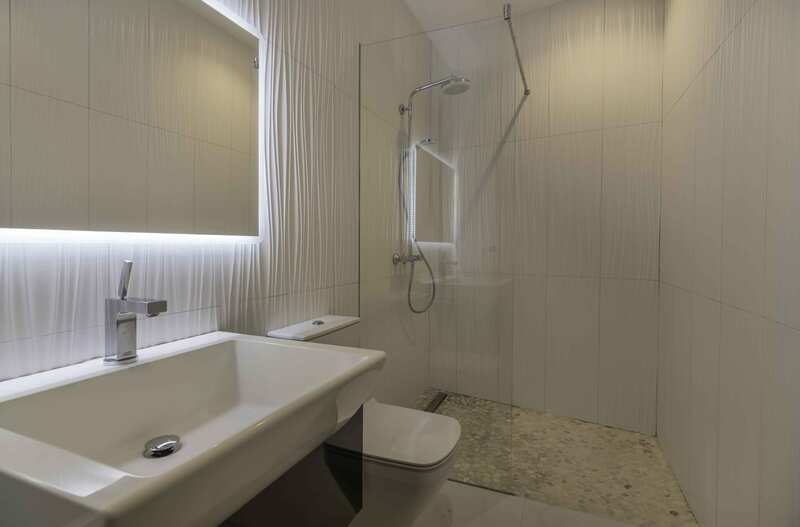 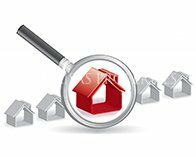 Including the 4 en suite bedrooms on the top floor and also the basement area with 2 more en suite bedrooms, the entertainment area, the cinema room, Turkish bath and sauna. 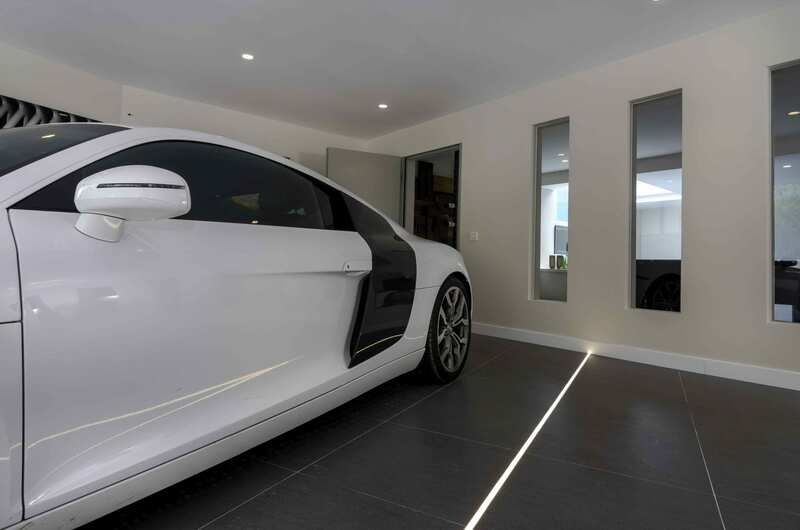 This level connects directly to a large garage. 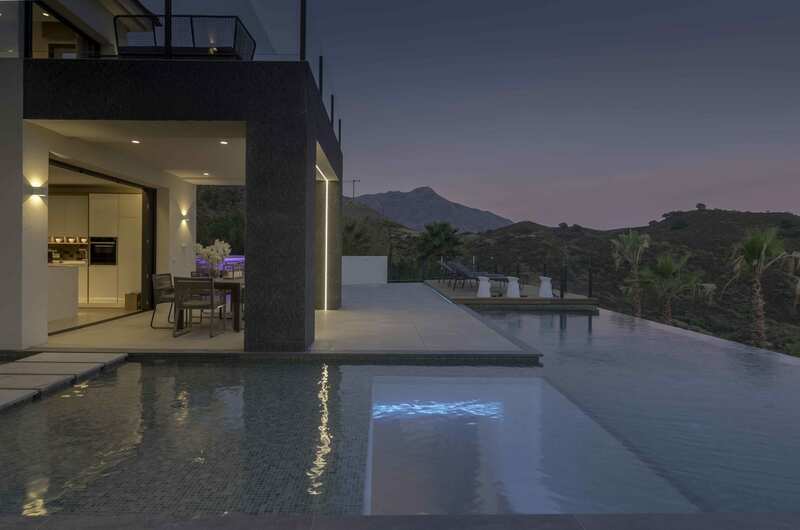 A space of calm, embellished by a large infinity pool that overlooks the mountains, giving us magnificent views of a spectacular natural environment. 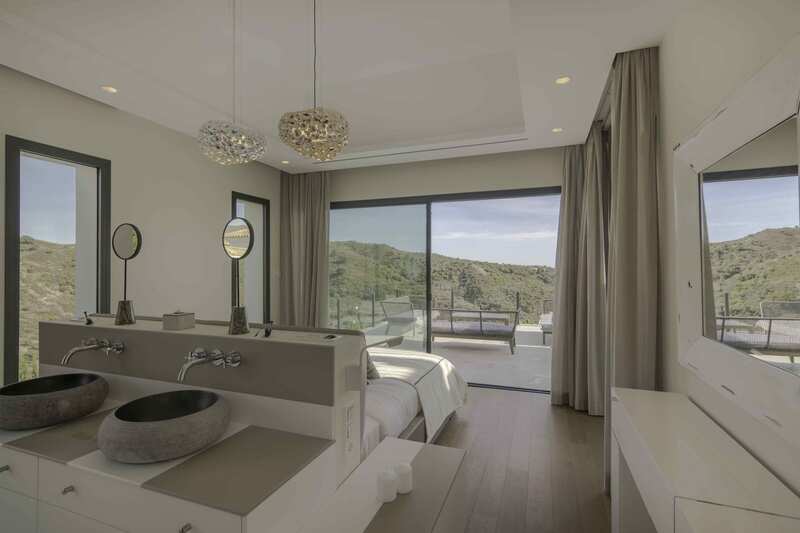 A paradise for golfers, 7 minutes by car from 6 golf courses and just 7 kilometers from the beach. 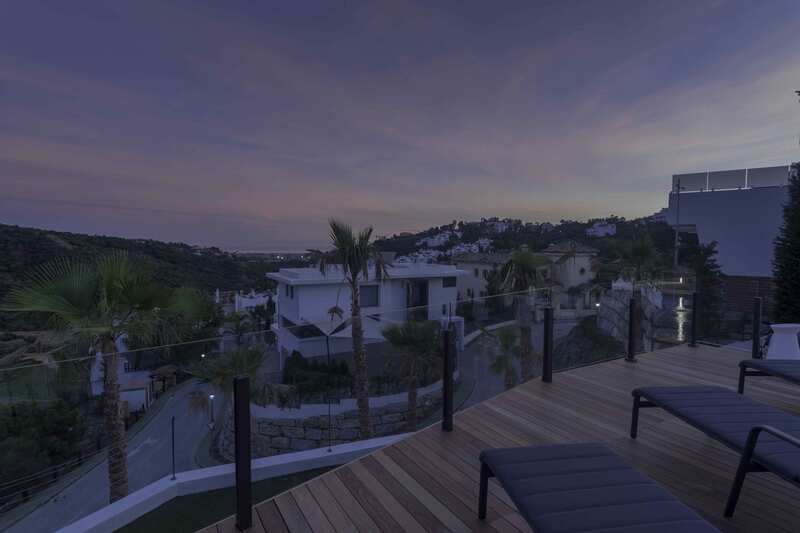 Benahavis is the gastronomic capital of Andalusia, with a famous selection of gourmet restaurants and an authentic and cozy atmosphere. 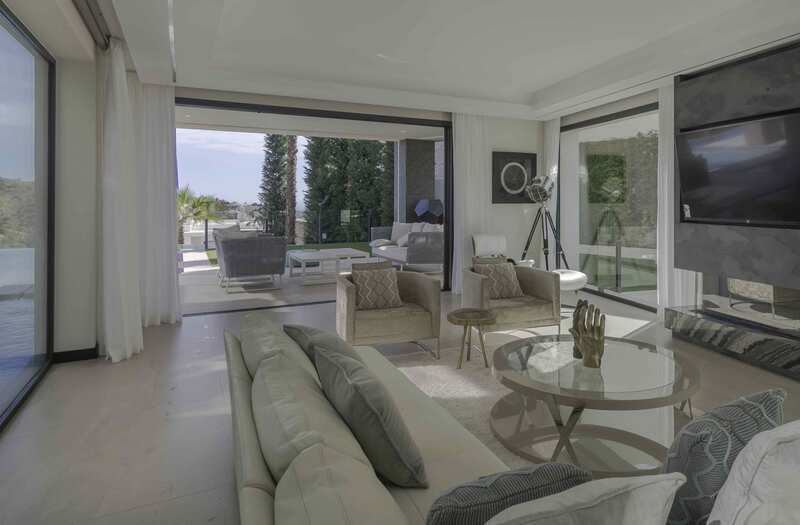 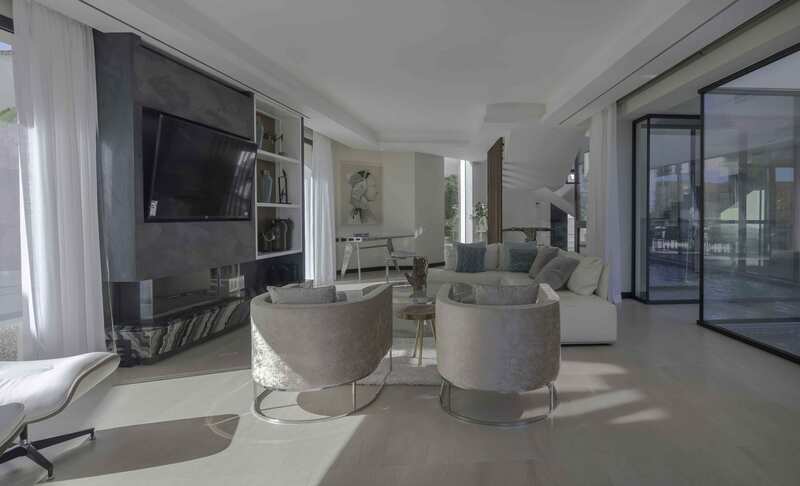 Do not miss the opportunity to get this magnificent property, very close to the coast, less than 10 minutes from all the amenities of the center of Marbella and the glorious Puerto Banus with its luxury shops.